NEW YORK (CelebrityAccess) — Creditors of music and media mogul Robert F.X. Sillerman are seeking to force him into bankruptcy over a $7.36 million judgment against him. 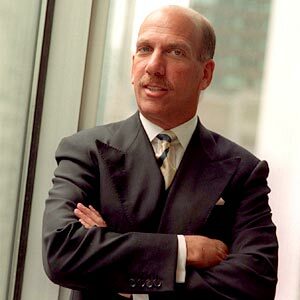 According to Reuters, Chicago-based concert promoters, Jeffery Callahan and Lucas King of React Presents and its affiliated ticketing outlet Clubtix, on Wednesday filed an involuntary Chapter 7 bankruptcy petition against Sillerman in U.S. Bankruptcy Court in New York. The two are seeking to collect on a judgment connected to a $10 million promissory note related to Sillerman’s roll-up of electronic music-related ventures to form SFX Entertainment, starting in 2012. SFX Entertainment included key properties such as the TomorrowWorld Festival and digital music retailer Beatport, but the SFXE failed to generate profit and filed for bankruptcy protection in 2016, with Sillerman forced out of the company. According to Reuters, Sillerman has asked the court to dismiss the case and said the filing was an attempt to pressure him by threatening him and his wife with the loss of their home. The court proceedings also cast a pall over Sillerman’s current venture, Function(X), which provides viral digital content (AKA clickbait). However, the company has warned investors that it may be facing financial straits with Sillerman unable to “provide financial support in form of cash and guarantees” to vouchsafe Function(X)’s liabilities. The next hearing for the case is scheduled for March.